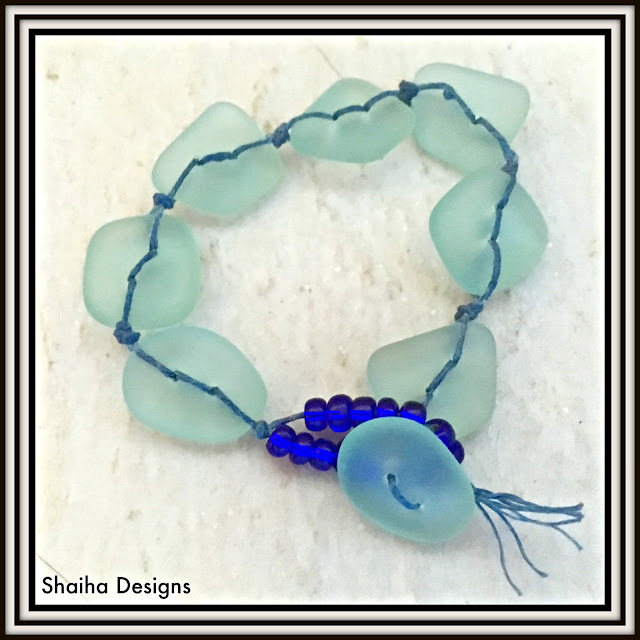 What goes better with summer then cultural sea glass? And my favorite place to replenish my stock is ZNetShows. They have recently come out with some new shapes that I have had the opportunity to work with. I mean just look at those beauties above! I especially love the buttons and just regret that I don't knit or sew as I think that they would be so cute with a lightweight cardigan or a sun dress. But instead I made a bracelet. Lightweight and sturdy, perfect for day on the water. Would also make a cool bracelet or earrings using jump rings but I wanted to go metal-less. And isn't that color the bomb? It's Light Aqua 'Coke' bottle Seafoam but they also comes in several different colors. You can click here or just go to ZNetShows and type PMX12 in the search bar. Next up is a set featuring ZNetShows' new Stack sets. These are center-drilled nuggets in graduating sizes. Perfect for whipping up a quick necklace and earrings. I used the Stacking Mix in Turquoise Bay and for contrast, I also used some square spacer beads in a Royal Blue also from ZNetShows. If you would like a closer look at the wonderful cultured sea glass, just click on the links. 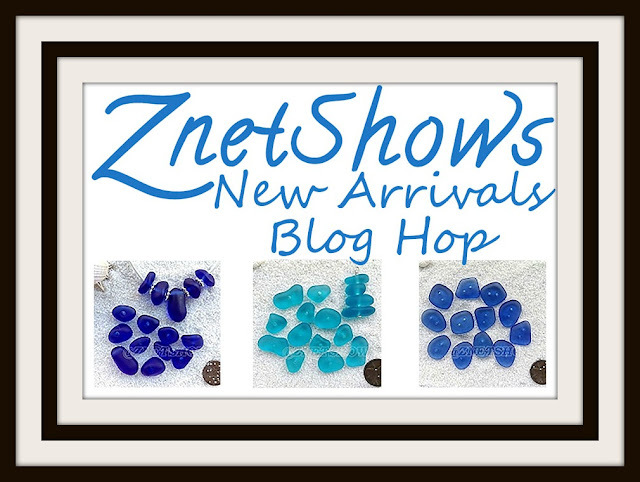 For more inspiration using the new shapes of cultured sea glass beads from ZnetShows be sure to check out these other designers. I know that I can't wait to see what everyone came up with. Lovely designs...I totally love the idea of non metal jewelry..and I can so see one being able to wear the bracelet to the beach and not worrying to much if it got wet! Great job! You made the set look so modern and geometric. Love it. Great work ! Your button bracelet is so dang cute... I think the button beads will look amazing on a sweater...gonna give that a try later on. I really like your necklace and earrings too...very fun! I like your geometric earrings and necklace the best. Very modern and trendy! Well done! I really like your designs with the stacked set! I liked the shapes, but was totally stumped on how to use them in a design. You make it look easy. And your button bracelet is so fun and casual, something to slip on as you head out the door simply because it makes one smile. 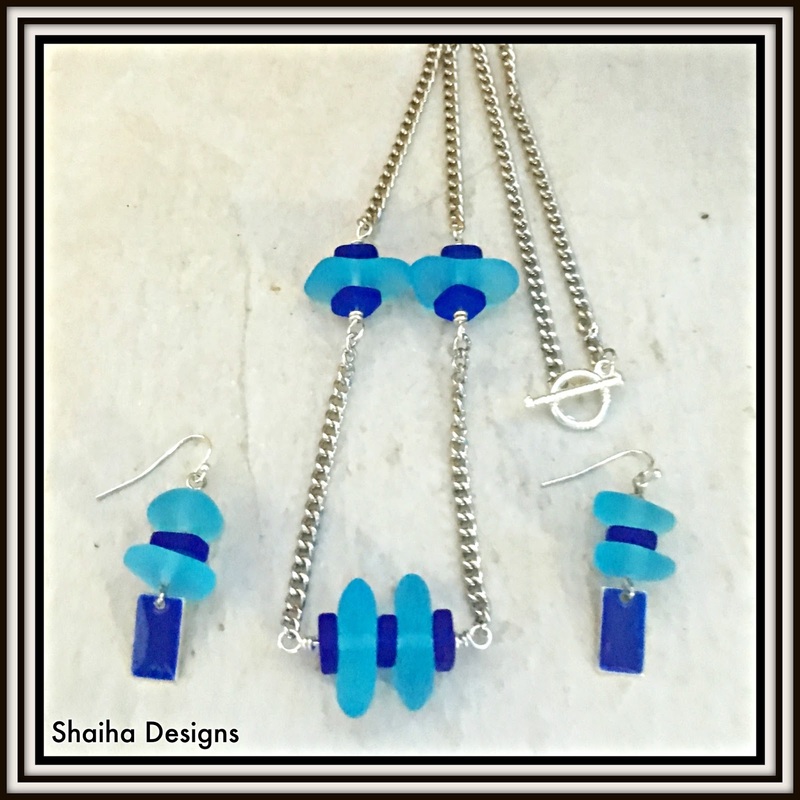 Hi Shai, Since aqua is my favorite color and royal blue a close second I favor the necklace and earrings that you created. The colors together make both of them pop. Great job. Love how you are using the buttons! I agree - sometimes when I'm using cute buttons with jewelry, I wish I could use them on clothing! Very unique - love these designs! 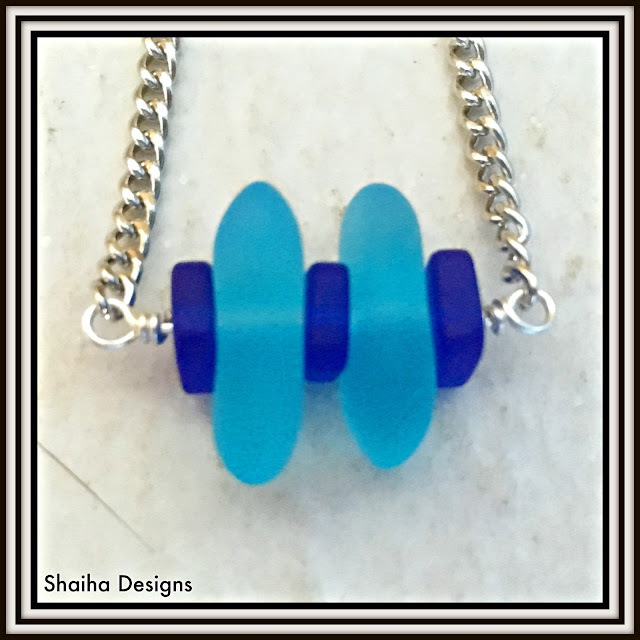 Hi Shaia, Love the square spacers with the beads. I like how they off set each other. My favs are the earrings. Those look like FUN to me & with that necklace, what a great set! But the "on the water" bracelet, I would definitely wear scuba diving!